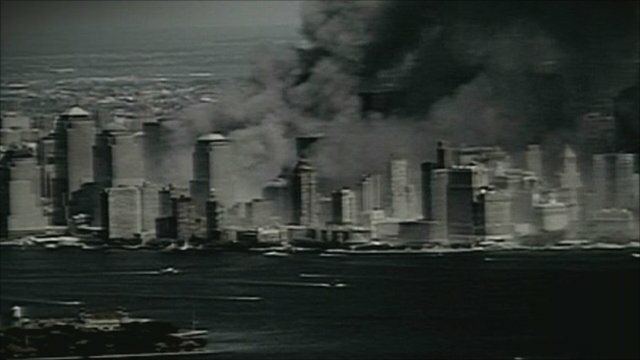 The sister of a Sussex man who died in the 9/11 terrorist attacks has said that the relatives of those who died are "constantly reminded" of what happened. Robert Eaton, 37, from Ditchling, was working on the 105th floor of one of the World Trade Center towers in New York, when they were hit by planes on 11 September 2001. His sister, Barbara Stephenson, said: "I think anyone who has lost a loved one is able to slowly heal and try and put aside what happened to them but with relatives of 9/11 we're constantly being reminded of what happened, it doesn't get any easier." After his death, a fund was set up in Mr Eaton's name. To mark the 10th anniversary of the attacks, the Robert Eaton Memorial Fund has donated £30,000 for a minibus for disabled young people in Sussex.